George Osborne has had another one of his sinister attempts to thwart the will of the British People revealed in trying to halt Brexit. Conservative MP Sir Peter Bottomley has been pushing for electoral reform that will allow 16 and 17 year olds to vote at the next UK General Election. In an editorial in The Evening Standard of which Osborne is the Editor he has come out strongly in favour of the proposals stating that: "calls for extending the voting franchise to 16 and 17 year olds is unstoppable". The thinking behind this strategy is the fact that 71% of 16 and 17 year olds supported staying in the EU and by allowing them to vote could see enough pro-remain candidates elected to reverse Brexit. Nigel Farage slammed this on his LBC show by saying: "Of course, many of the Remoaners, Remainers, call them what you will, think that so many of the youngsters think that the EU referendum has been a bad thing, which given the way they are taught at school it’s probably not very surprising. That is one of the reasons they are encouraging it so much." Osborne famously has taken on an additional 7 jobs since leaving parliament including one for a hedge fund paying him £650,000 working one day a week. As Chancellor along with his Old Etonian chum Cameron he presided over years of austerity that has and continues to decimate the lives of hard working people. He also politicised the Treasury and made wild economic threats about leaving the EU which have since been proved false. 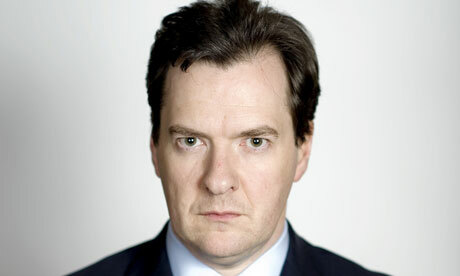 Do you detest George Osborne as much as us? Read: "Government accused of following 'Islamic law' when considering migrants' benefit claim"
Read: "Malloch- Brown is a Disgrace!"